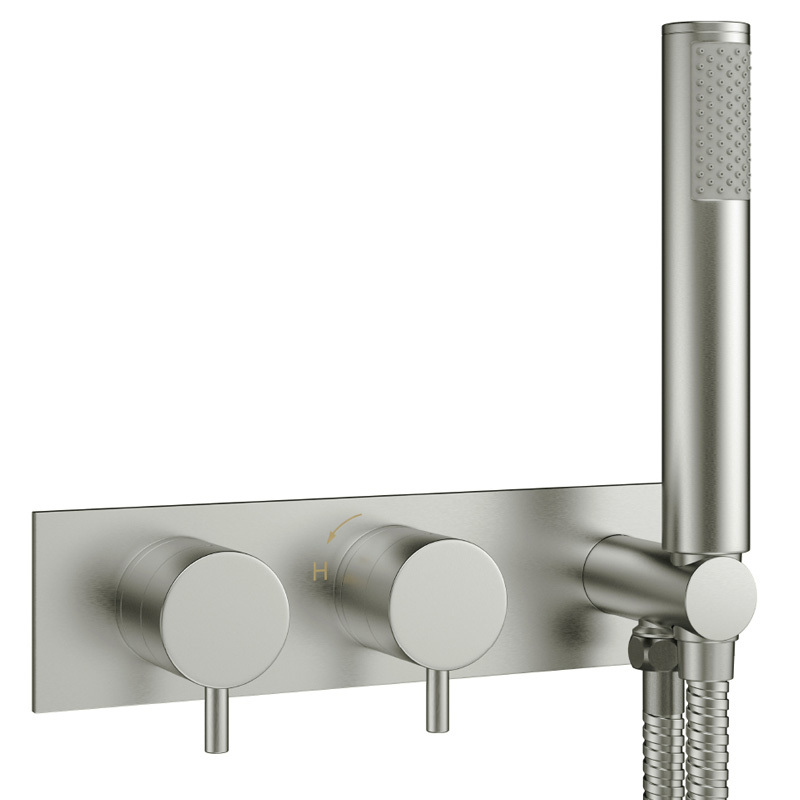 Brushed Steel Mike Pro Therm Shower Valve Buy Online At Bathroom City! The superb brushed stainless steel effect finish gives a designer sheen to the stylish Mike Pro 1701 Thermostatic Shower Valve 1701 from Crosswater. Supplied complete with a contemporary shower handset, this modern shower valve offers the complete solution for any bathroom or ensuite. With precise thermostatic temperature controls and ceramic disc technology built-in, this shower valve with kit is the ultimate blend of form and function.